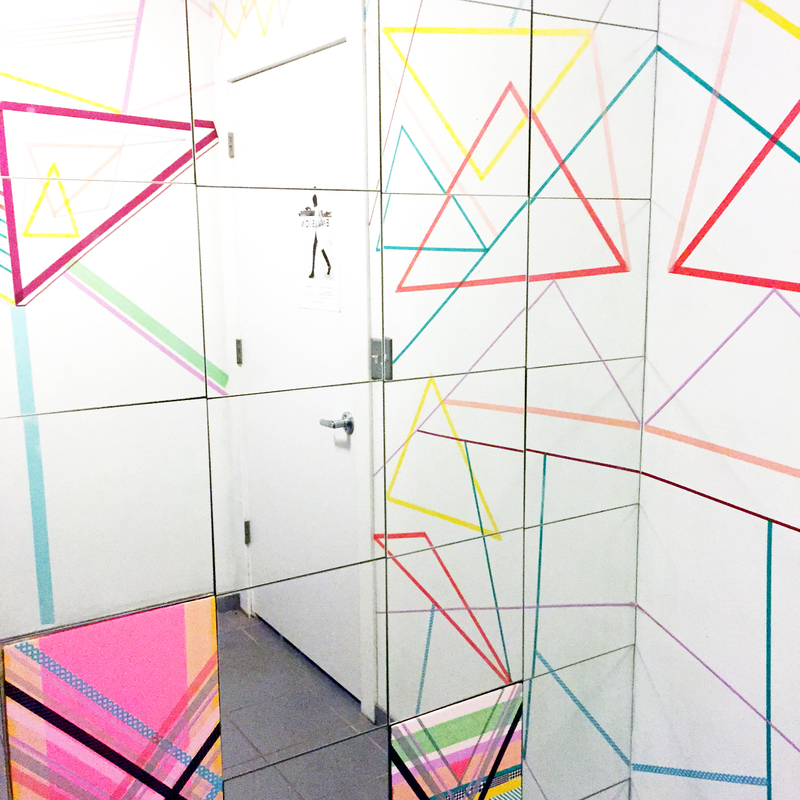 If you’ve been to Pinterest lately, or visited the restroom at the Northeast Minneapolis art gallery Public Functionary, you may have noticed décor created with colorful tape. From snazzing up simple brown-paper packages or gift boxes with ribbon-like color and pattern to wrapping wine or water glasses—or keys, shelves, notebooks, tables, or chairs—to creating complex geometric decorative wall murals, washi tape is one of the biggest do-it-yourself decorating phenoms to hit the U.S. That’s washi tape—not to be confused with the spicy green sushi condiment, wasabi. And one of the biggest proponents of washi tape is Twin Cities’ artist, social-media maven and marketing guru Kate Iverson, who is also a development director at Public Functionary. Her interiors projects, so far, have also included a kitchen installation for an Airbnb on the West Bank in Minneapolis and her own house. “I’m also making earrings with it right now, which is my new obsession,” she says. 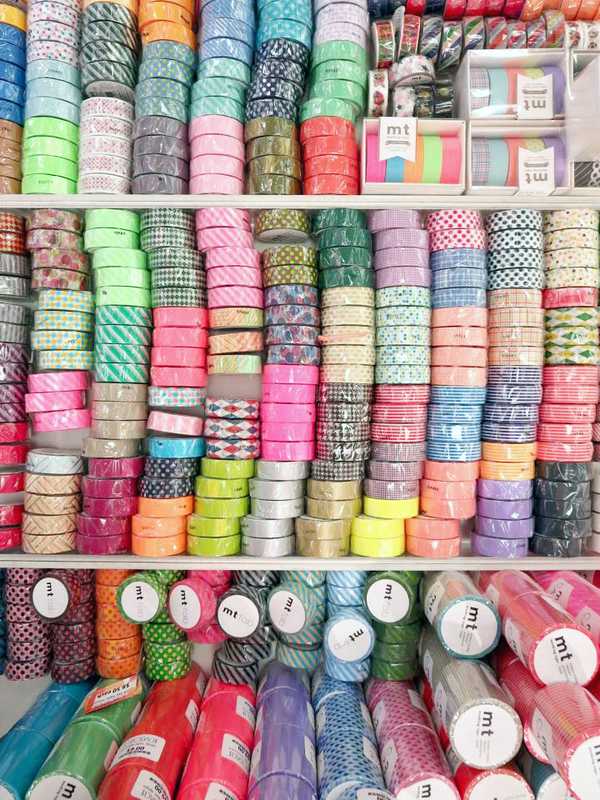 Colorful selection of mt tape washi at Tomodoachi pop culture and toy store, Mall of America. 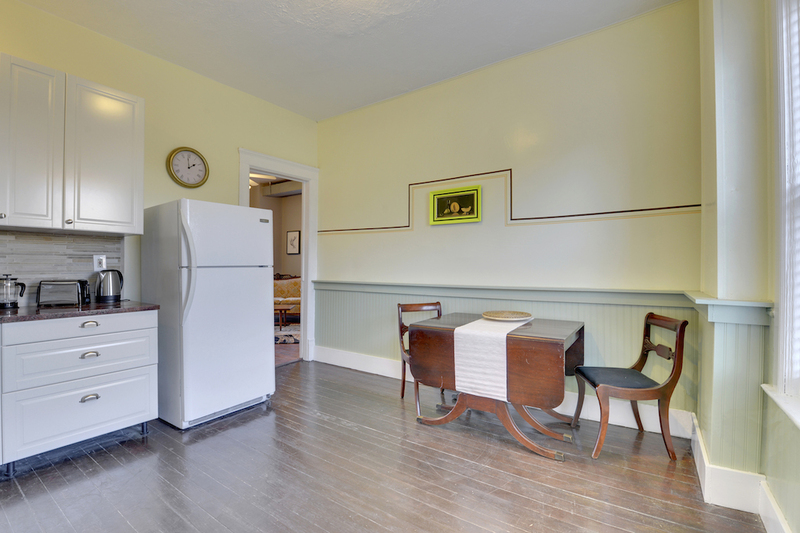 Iverson has created “simple decorative embellishments where there was a lot of blank space” whether on walls, doors, and even her refrigerator, she says. Her projects have also included drawing a cube with white tape on wallpaper to create a focal point for a room. “I just eyeball it, freestyle it. It’s easy to put down in a straight line. People of all ages and skills levels can play with it.” If Pinterest is any indication, artists, crafters, and design lovers are all intrigued with washi. “It’s whimsical, colorful, and so easy to whip out something fun really quick,” Iverson enthuses. Color us inspired!